February 2018, before our final destination in Nuremberg to attend Embedded World 2018 hosted in the Arm booth, we visited some of our members in Zurich, Switzerland. We learned about their goals and priorities first hand from their teams. It’s probably no surprise to anyone reading but they love PX4. There was a sense of community. PX4 and Pixhawk were both created here, and you still feel this heritage. Quite an impressive local ecosystem is the result of that. Some of the companies are among the leaders in their fields. The highly trained talent pool, especially in the areas of robotics, control systems, and computer vision is at world level, and it’s no surprise that large companies as Yuneec established an R&D center in Zurich, the city also hosting ETH. We felt that the companies in Zurich had one thing in common, a passion for building drones. Wingtra had a very focused talent pool working on their latest and greatest, Yuneec had an energetic rhythm with a very advanced team using open source to bring great products to live, Auterion had a close connection to the development community that allows them to support the core development of the platform. Dario Röthlisberger, Martina Rivizzigno, Simone Guscetti, Ramon Roche, and Matthias Grob pose in front of the Yuneec R&D Office in Zurich. We were delighted to meet a small but very efficient team focused on highly integrated systems for the drone of products of tomorrow. As you can imagine, with lots of great minds in the same room it’s not hard not to feel inspired by their continued efforts for excellence, this is the team that is behind products like the H520 and the Yuneec SDK, and is actively contributing to every part of the Dronecode Platform. Visual localization – Estimate drone position using visual input. Obstacle avoidance – Detect and safely avoid obstacles. Advanced Path planning – Getting the perfect shot, always. Flight Control – Guarantee the best forming controller for our drones and tightly working with the PX4 community to help define the API for vision integration. Their flat hierarchy and dynamic work environment made their office feel like a Silicon Valley startup with lots of real “world-changing” problems to solve and the right mindset. 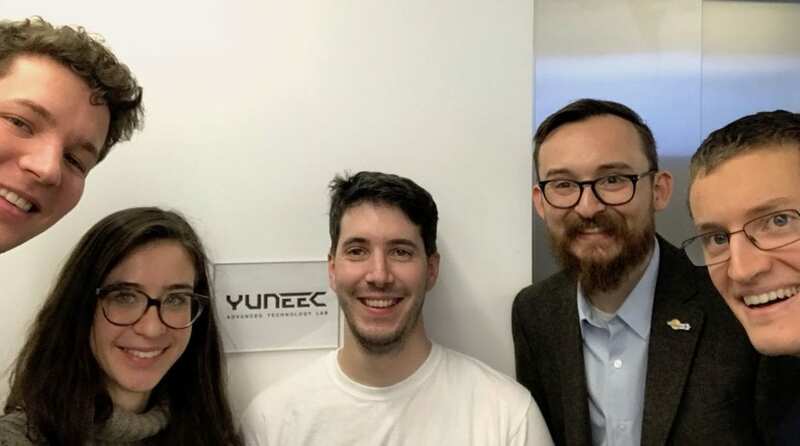 It’s no surprise that ETH is providing top talent to the industry, and you only need to stop by the Yuneec Research office to see how ETH Engineering graduates are fostering an Innovation environment that is working hand to hand with the open source community. Armin Ambühl, CTO, Ramon Roche, and Maximilian Boosfel, COO and Co-founder with the WingtraOne Drone. 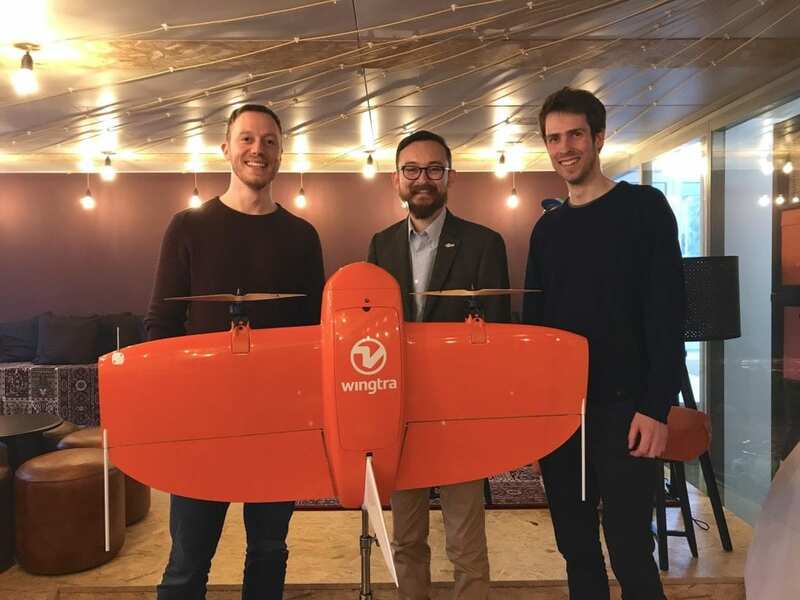 At Wingtra the dedicated team of Wingtranauts (how they like to call themselves) develop, produce and commercialize high precision VTOL drones that collect survey-grade aerial data. Wingtra entered the market in early 2017 and has been selling globally ever since. Recently Wingtra has raised additional $5.8M to meet the demand in 2018 and broadened its global distribution network across all continents. The CTO of Wingtra Armin Ambühl told me that with the latest upgrade, Wingtra’s drone WingtraOne PPK can offer something that has never been seen in drone photogrammetry – broad coverage and high resolution at ultra-precise accuracy. “For example, we can map an area the size of 240 American football fields in an hour’s flight, and it’s possible to zoom in and see a coin lying on the ground. And what’s best – we know the exact coordinates of that coin, so we can easily locate it on the field”, explained Armin in simpler words. WingtraOne PPK is already available for customers directly via Wingtra, and it’s distribution network. Read more about Wingtra on their website wingtra.com, about how they set a new accuracy benchmark in drone photogrammetry, follow them on Twitter @Wingtra. 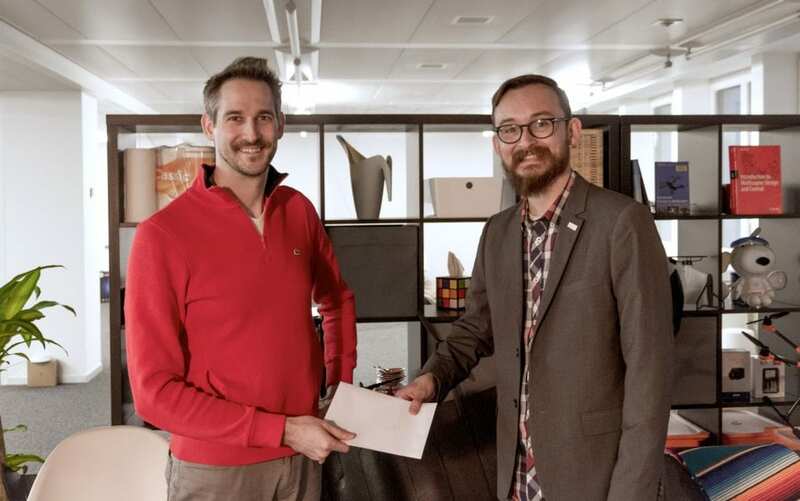 Kevin Sartori, Co-founder at Auterion hands over the Dronecode application to Ramon Roche, Programm Manager at Dronecode in the Auterion office in Zurich. Auterion is the latest member to join Dronecode. Based in Zurich, they are responsible for most of the active development upstream on the Platform. While we visited we had the opportunity to sign the application form and officially welcome them to the Project, this formalizes their commitment to the open ecosystem. Auterion supports the core development of the Dronecode platform and enables companies in the ecosystem. Auterion partners with leading silicon and service companies to bring the best technologies and integrations to the ecosystem. Offering enterprise support to Dronecode users and release a managed and tested open source distribution of PX4. Auterion is based in Zurich, Switzerland and is co-founded by Lorenz Meier, creator of Pixhawk, founder of PX4 and named MIT Innovator 35 under 35 and Kevin Sartori, UC Berkeley MBA and drone expert from Silicon Valley. Auterion hopes to bring the level of professionalization to drones that Red Hat brought to Linux. Auterion’s employees have been contributing to the ecosystem for the last decade, authored and created both PX4 and Pixhawk. Today, Auterion wants to enable the industry by connecting the community of developers, contributors, and companies, while creating better technology “the open source way”. With their membership, they want to show their support to Dronecode officially. Read more about Auterion on their website auterion.com, follow them on Twitter @Auterion. 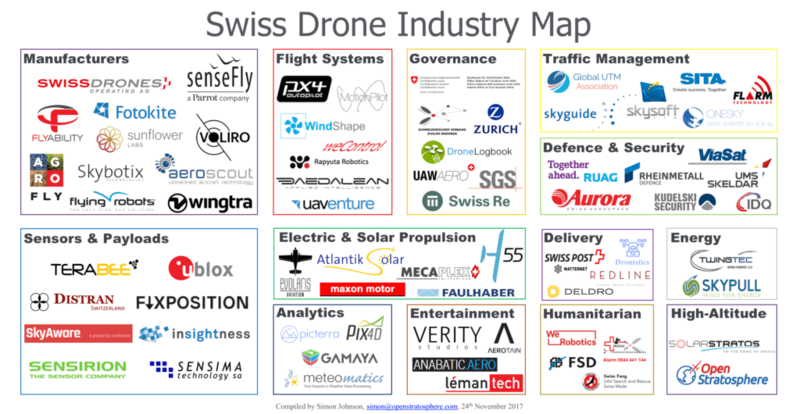 UPDATE 03/20/18 17:30 PST: adding a complete map of all the different companies that form part of the Zurich drone community. © 2018 Dronecode Project, Inc., a Linux Foundation Collaborative Project. All Rights Reserved.